Build Quality. The build quality of the LN-324C is excellent. On most tripods at this price point the metal parts are cast, but in this case they are machined aluminum. The difference is fit, finish, and feel is obvious. Is it as good as Really Right Stuff, Gitzo, or ProMediaGear? No, it’s not. When being handled side by side, the differences are obvious. The Leofoto is simply not manufactured up to the same exacting tolerances. However, Leofoto’s build quality is a significant upgrade from the likes of Manfrotto and Induro, so I highly doubt that you would be disappointed upon removing it from the box. Leg Locks. The LN-324C features standard twist style leg locks. The metal locks have rubberized sleeves for grip and comfort. 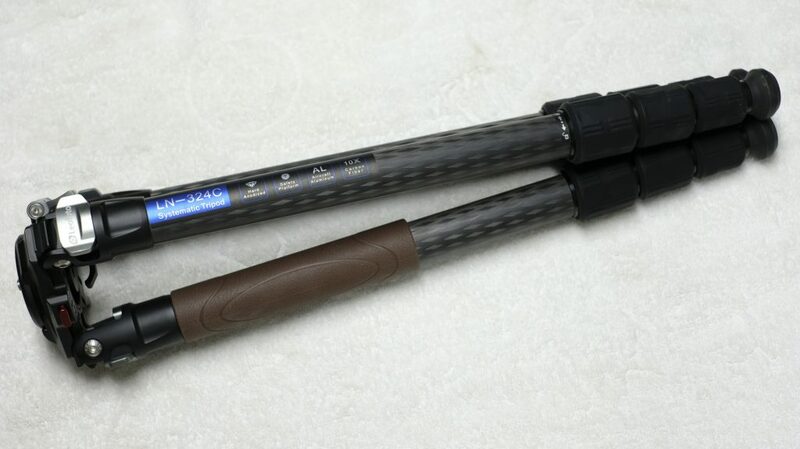 The rubber grips and the underlying twist locks are oversized compared to the direct competitors. This isn’t necessarily a good or bad thing, but it does make operating the tripod a little bit slower. It is more difficult to grab and open all of the locks at once. The feel is fine, but not top notch. The threading is finer than the best feeling locks, causing the locking action to feel a little mushy and slow. I’m not really complaining here, the locks work just fine, but they aren’t perfect. The leg locks do not have the rubber o-ring seals to keep out water and dirt found on the most recent systematic tripods. This is not a serious omission, but take extra care to clean the tripod out after use in adverse conditions. Feet. The feet on the LN-324C are replaceable and take the standard 3/8-16 thread. Included in the box are a set of rubber feet and a set of spiked feet. This is nice given how much some other companies charge for a set of spiked feet. The spikes in this case are fairly short and stubby though. This is fine for shooting soft dirt, but won’t be quite as useful in sand or snow as the true longer spikes. Again, I have mixed feelings about this approach. Most users won’t feel the need to ever use the spikes, and so they will collect dust. For those who really need spikes, they will want good long ones to bite into a soft surface. I wish that Leofoto had simply omitted the short stubby ones from the box and dropped the price a couple bucks. Top Plate. 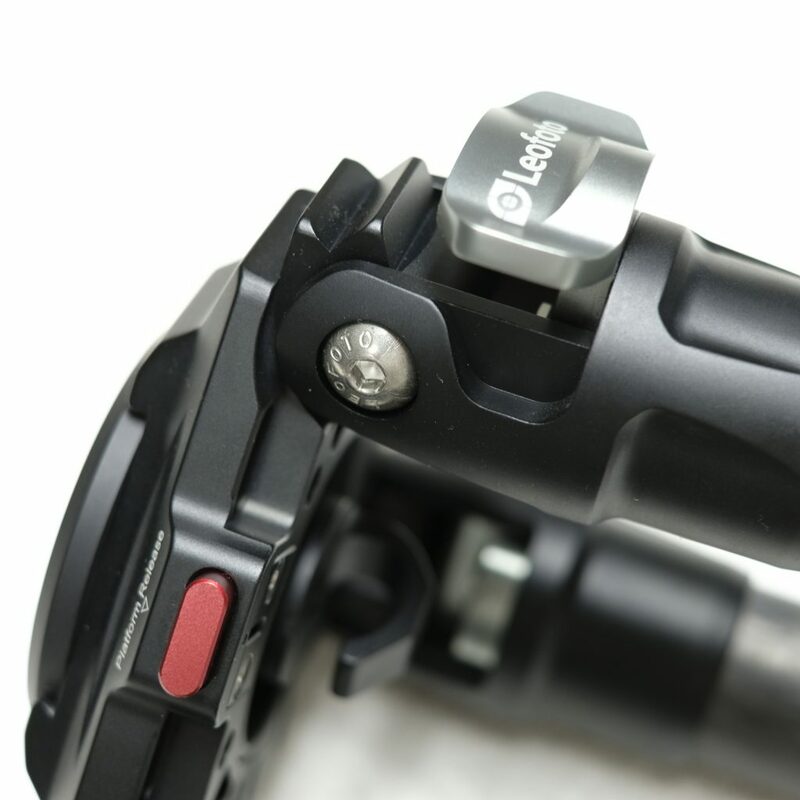 The design of the top plate is lifted directly from Gitzo. The apex is split one one side and a bolt clamps the apex around the top plate. There is also a detent pin to prevent the top plate from accidentally falling off. The downside is that the LN-324C takes 55mm diameter plates. 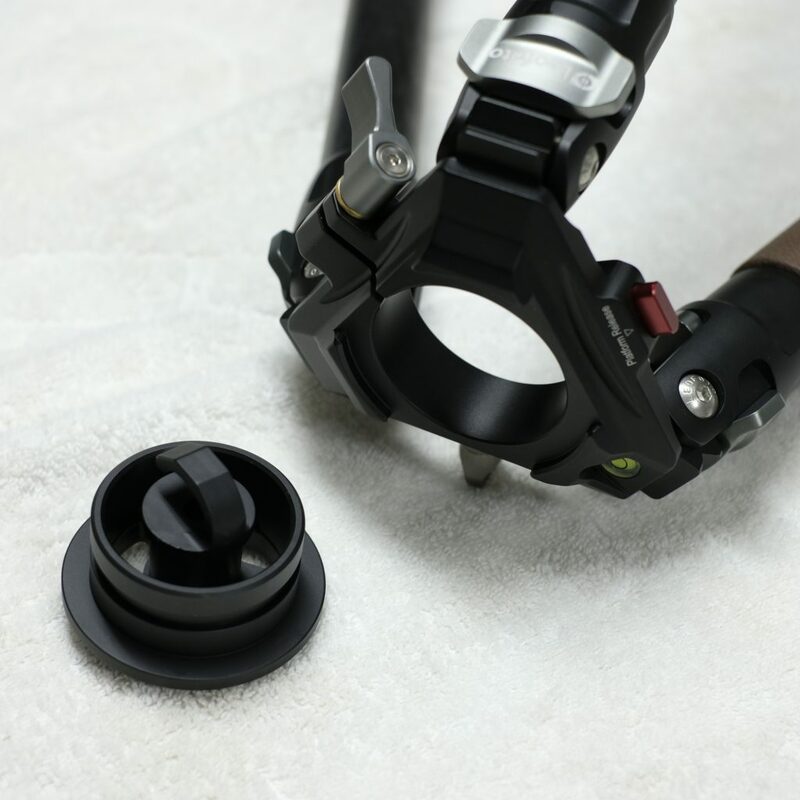 This isn’t a common size and so you will be stuck buying Leofoto accessories for this tripod, such as the custom center column for this model. The top plate itself has a hard piece of plastic on top that mates with the head. This is both to avoid damage of metal to metal contact with the head and to provide a little bit of damping. It seems to do both just fine. Angle Selectors. 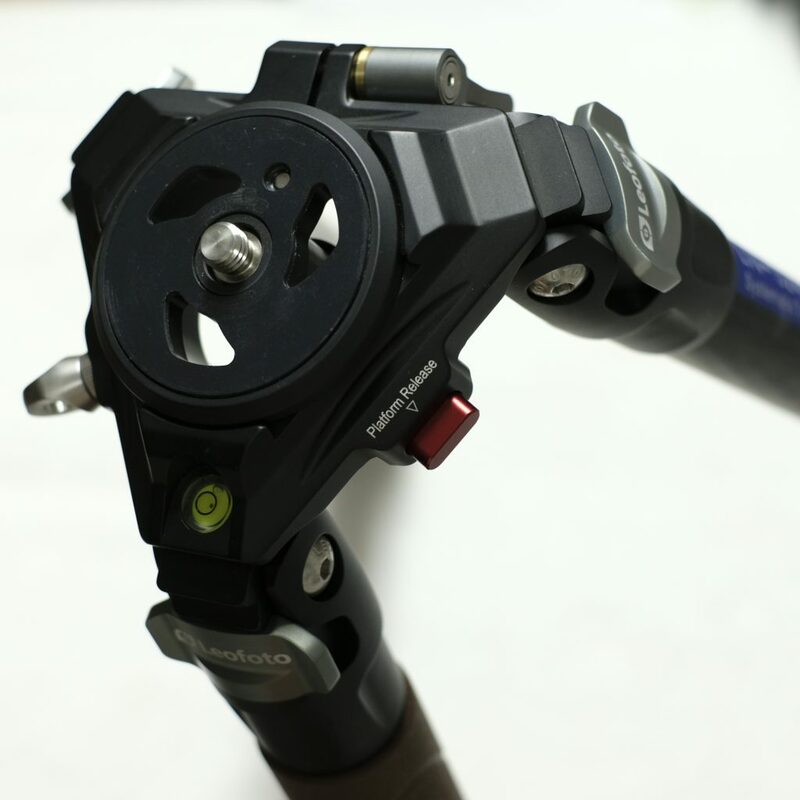 The LN-324C uses the same pull tab angle stops used in the majority of tripods. This is a proven design and Leofoto’s implementation is good. The selectors themselves are well made and move smoothly. Carbon Fiber Quality. 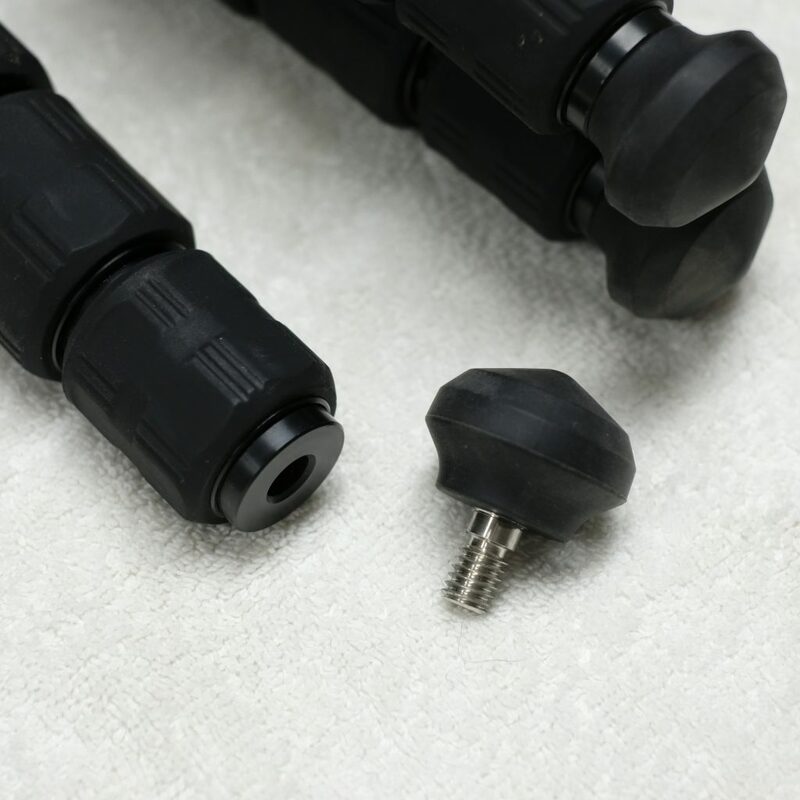 The performance of a carbon fiber tripod hinges on the quality of the carbon fiber tubing used. In the case of the LN-324C, it appears to use the same mid-range carbon fiber as the rest of the Leofoto lineup. Judging by the test results, it is some of the best carbon fiber coming out of the Chinese manufacturers, but still clearly isn’t on the same level as the carbon used in the Gitzo, ProMediaGear, and Really Right Stuff tripods. Leofoto claims that they are using 10x layers of carbon fiber from the largest fiber provider in the world, the Japanese company Torayca. I have no reason to doubt this, but these figures alone tell one very little about the ultimate stiffness of the tubing. The layup, modulus of the fibers, and resin ratio are all more important. As the end user, you shouldn’t have to pay attention to these things, as the only thing we ultimately care about is the strength and stiffness that the tubes cane provide. As we will see in the test results section, these metrics are good, but not exceptional.